Amy Hatvany graduated with a degree in Sociology only to discover most sociologists are unemployed. Soon followed a variety of jobs - some of which she loved, like decorating wedding cakes; others which she merely tolerated, like receptionist. In 1998, Amy finally decided to sell her car, quit her job, and take a chance on her passion: writing books. Her background in sociology inspires and informs much of her writing as she tackles timely and controversial issues in her novels including mental illness, domestic abuse, and alcoholism. 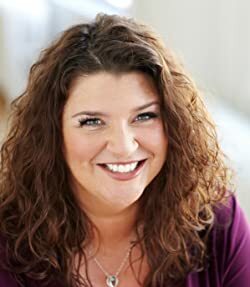 She is the author of BEST KEPT SECRET, OUTSIDE THE LINES (a Target book club pick in 2012 and a Costco Pennie's Pick in 2013), THE LANGUAGE OF SISTERS, and HEART LIKE MINE. Her next novel, SAFE WITH ME, was released March 4, 2014. Amy lives in Seattle with her husband and children. You can learn more at www.amyhatvany.com. Please enter your email address and click the Follow button to follow Amy Hatvany!